The UN has warned that the water crisis afflicting the Syrian capital may constitute a war crime. Millions of people have been deprived of running water after a reserve located in rebel-held Wadi Barada was cut off. “In Damascus itself, 5.5 million people have had their water supplies cut or minimized,” the UN’s humanitarian adviser to Syria, Jan Egeland, told reporters in Geneva on Thursday. 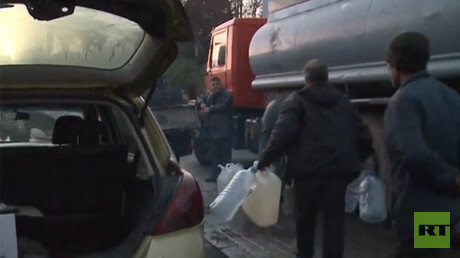 In December, the running water supply for Damascus was shut off, having reportedly been contaminated with diesel fuel. This deprived millions of people of drinking water, and came amid fighting in the rebel-held area where the reservoir is located. Rebels have blamed the government forces, reporting that the crisis hit when the reserve was allegedly shelled. Syrian officials, however, say the rebels deliberately poisoned the water and then damaged the infrastructure. Last week, RT gathered testimony from residents queuing up with jerrycans to receive water delivered by government and municipal authorities in tankers. 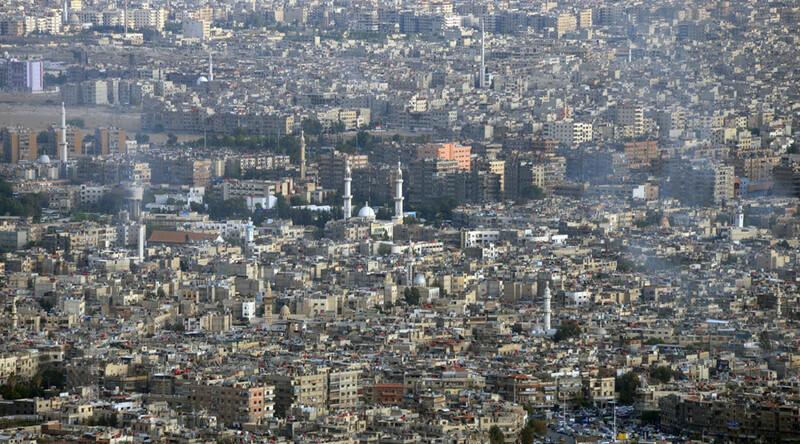 In Damascus, the overwhelming blame is being placed on the rebels. The UN, however, has stopped short of placing any blame, with Egeland saying that fighting has prevented his team from travelling to the Barada valley just north of Damascus to inspect the situation. This, he said, would help ascertain if the disruption had been caused by Syrian government bombardment or rebel sabotage. Egeland stressed that “to sabotage and deny water is of course a war crime,” as such actions mainly impact civilians. He went on to say there was no sign of disease in the city, but did warn that poisoning was a real danger. Rebels have repeatedly threatened to target the water reservoir in Wadi Barada. They have recently threatened to cut the supply again – this time in a video that showed the tunnel running underneath Damascus, where they said they would lay explosive charges and physically deprive the population of water. 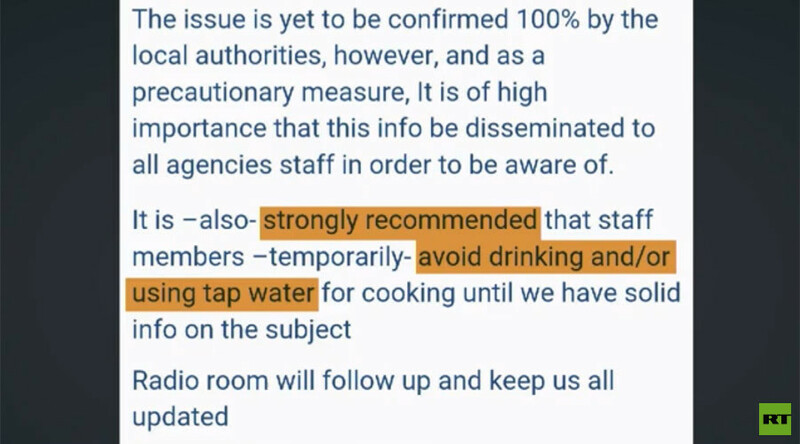 And recent UN memo to agency staff, obtained by RT’s Lizzie Phelan, showed clear concern in late December when the crisis hit, and just before the government started turning off the water. Right now, residents have two ways of getting water – through the water authority’s deliveries and from underground wells. UN relief efforts have restored 120 of them. The reservoir at Wadi Barada is off limits. There are shops, of course, but prices are exorbitant. The valley itself is in the mountainous region north of Damascus, and contains about 13 villages. Before the war, it was considered a tourist site. But locals know it for the Ein al-Fijef reservoir, which the rebels now control. It is located 15km northwest of the Syrian capital. A ceasefire deal between government and rebel forces came into force just before New Year's celebrations. Islamic State (IS, formerly ISIS/ISIL) and Al-Nusra Front terrorists did not participate. The deal was brokered by Russia, Iran, and Turkey, with Moscow and Ankara as guarantors of the truce. However, the rebels broke the truce shortly after its approval by UN Security Council members on January 2. They blamed the Assad government for alleged violations in the Wadi Barada valley. The truce aims to bring about peace talks later this month in Kazakhstan, with the rebels warning that any agreement would be immediately scrapped if the government does not pull out of the area north of the capital. The groups threatening to suspend their participation include the Free Syrian Army, one of the biggest opposition coalitions.